Opening a new store is a very exciting time for a business owner, but there is a lot that goes into getting the new location ready. 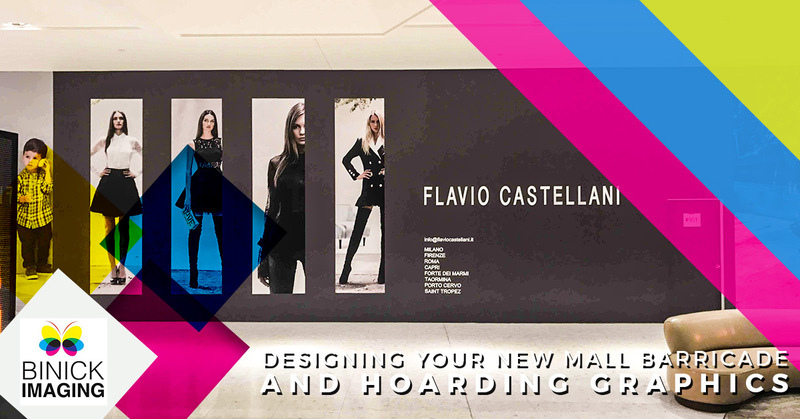 If you’re launching your first location, or if you’re expanding into a larger space, then you’re likely going to have to build out the new store so that it fits your layout and design. If you’re located in a shopping mall, then this means construction will be going on while the other stores around you are open and while people walk by on a daily basis. At Binick Imaging in Miami, we offer outstanding large-format printing services, including barricade and hoarding graphics. 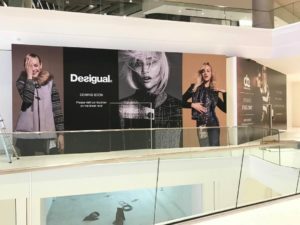 Instead of a blank wall separating your store that’s under construction from the rest of the mall, you can have large, vibrant graphics that let people know who you are, what you offer, and when you’ll be open for business! One of the primary benefits of temporary barricade graphics is that they can help you build your brand before you’re even open to the public. If you’re a known brand, then you can let people know that a new location will be coming soon, but if you’re a new business, then you can get your logo in front of people’s eyes before you open your doors for the first time. Miami malls get a lot of foot traffic, and it’s likely that hundreds of people will walk by your storefront on a daily basis. Another great thing about hoarding graphics is that they can provide people with information about who you are and what you offer. A giant picture of your leading product will catch people’s eyes and hopefully make them stop and take notice. You can also include your website address, so that potential customers can visit you online and learn more about your company. A well-placed barricade graphic can also generate interest in your business. Whether you’re a retail store or a restaurant, a prominent logo and other info can get people excited that you’re going to have a location in their favorite mall. They’ll tell their friends and family about it, and be some of the first to visit your new location when it’s open. If you’re a business that they already know and trust, then they may very well be the first in line at your grand opening! With Binick, you can design and create the perfect barricade and hoarding signs and graphics for your new location. Whether it’s your first store, or your business has been so successful that you’re expanding into new markets, our large-format printing services can handle your project. We’ve worked with brands both large and small, and we’ll make sure that your signage turns out exactly how you want. Contact us today by calling (877) 778-5343, or by emailing us at info@binickimaging.com. We’re open Monday through Friday from 10:00 a.m. to 5:00 p.m., and we’ll gladly answer any questions you may have about our services.